I read Delilah Marvelle’s terrific novella Romancing Lady Stone. Don’t pass it up!!!! My review next Wednesday. HOT SECRETS looks good. I need to read Anna Randol. You are so sweet, La Deeta! I promise my blog is just me (it would be easier if it were more people) and I’ll avidly do all the exercises, etc. 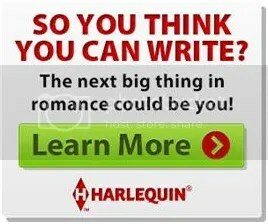 for the Harlequin contest but I don’t really have a manuscript that’s ready yet for them to look at. I do have a racy contemporary novella that I’m hoping to finish by October and then shop around to publishers, so I promise I’ll keep you posted. Thanks for being so encouraging! I think you would really like Anna Randol based on your reading it. I’ve downloaded Marvelle’s book too, so I can’t wait for your review! Thank you for mentioning the Popular Romance Project and Sarah Frantz’s video!